So, we all know Tina Fey is a Spinster's Dream. She writes about night cheese, and once on 30 Rock, she said she was wearing a Duane Read bag for underwear. The woman is brilliant. That's why when I heard she had com out with a Netflix Series, I knew Miranda and I would be singing to our hearts' delight. The show, of course, is Unbreakable Kimmy Schmidt, and I would characterize it as "feel-good funny." 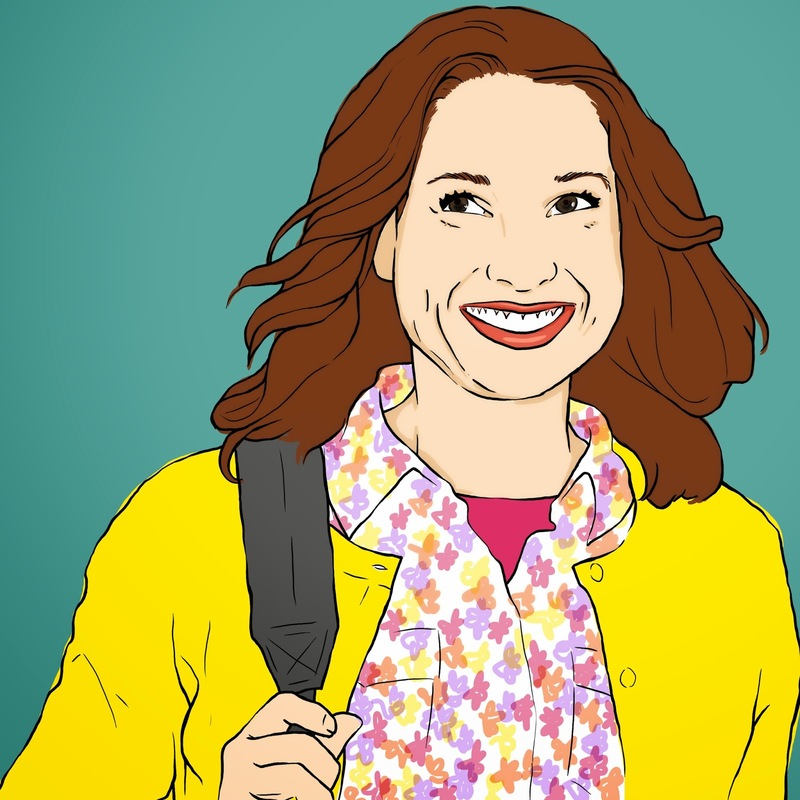 Starring Ellie Kemper of The Office and Bridesmaids Fame, the show centers around a girl who was recently freed from a long imprisonment by a cult-leading abductor. Free in the world for the first time since her early teens, Kimmy Schmidt is exploring New York City with a mixture of innocence and brio that is infectious. The writing is distinctly Tina Fey in that the dialogue is often ridiculous and self-referential, but that's what we loved in the first place, right? Titus Andromedon is this show's answer to Tracy Jordan. My favorite thing about this character, though, is that he calls Kimmy things like "Kimothy," and "Kimmillionaire." You have to listen closely to catch them, but these nicknames are excellent. So, first Kimmy has a boyfriend who has an english accent but is from Connecticut, but in the end of the first season (spoiler alert!!!) she ends up with the super cute Dong Nguyen. Hooray for him because he's cute and he built a bike. So, Kimmy is supposedly very dorky and underdeveloped socially (because of the bunker), but every time they dress her up, she is so pretty. I like it. So, the whole time you're watching this show, you assume the abductor is super creepy. Then you during the trial (spoiler alert!!!) you find out it's Jon Hamm, which really makes more sense when you think about joining a cult. Would you join a creepy guy's cult, or Jon Hamm's? Probably Hamm because...i mean, you'd go with him hoping it was a date. I love the premise of this show. It plays into the morbid curiosity we all have whenever an abductee resurfaces after we all thought all hope was lost. As usual Tina Fey pokes fun at us all, and we love it. Now, if you haven't watched this show yet, I think you should order a pizza tonight and get started.